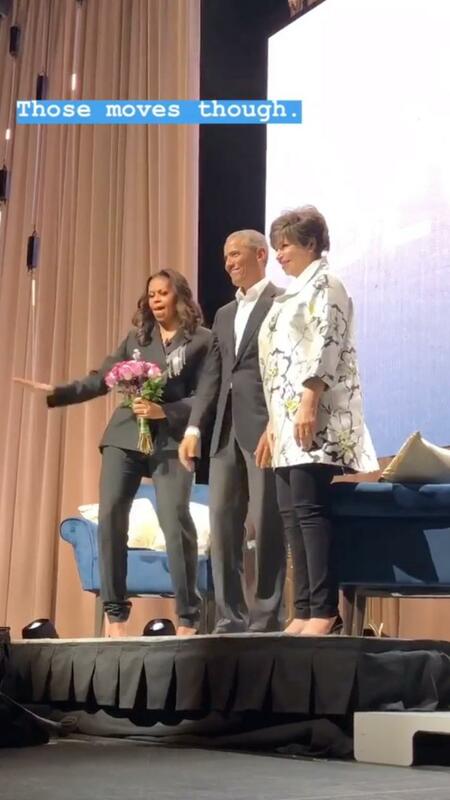 Her husband, Barack Obama, the former president walked onto the stage and presented her with a bouquet of flowers while she was promoting her new memoir, Becoming. Oh yeah, the crowd, already hyped to be there for Michelle, went bananas. with his appearance. Displaying his patented sense of humor, Mr. Obama compared his entrance to what he imagines it’s like for Jay-Z and Beyoncé. 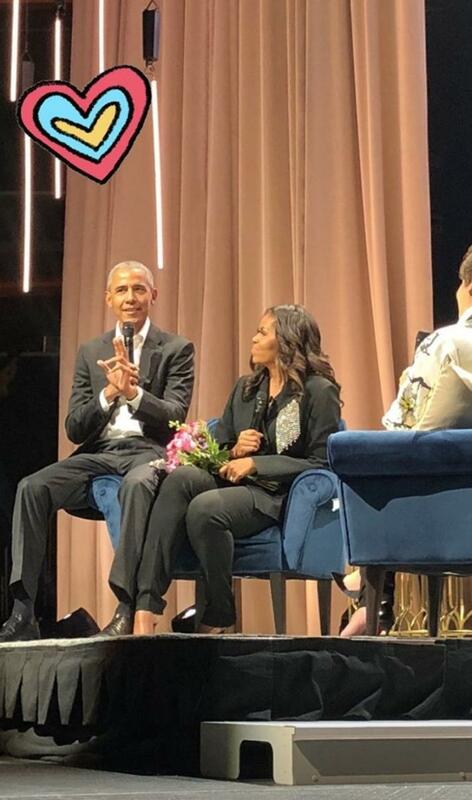 He spoke about falling in love with Michelle and how, early on, she tried to set him up with some of her friends, whom he says he was not interested in. “Don’t go there,” Michelle Obama chimed in, which drew laughter from the crowd. Amazing couple! What an honor it was for us to have had them in the white house. That’s the definition of a Power Couple, Strong, loving, devoted to each other’s and then has time to give each other that public attention that they love each other. No matter how, what, when or where. From that to where we are now…smh. America is collectively insane. Meanwhile, the former first lady’s social media team captured some of the moments on her Instagram account, including shots of Michelle Obama at the end of the event dancing to “Signed, Sealed, Delivered, I’m Yours” by Stevie Wonder.